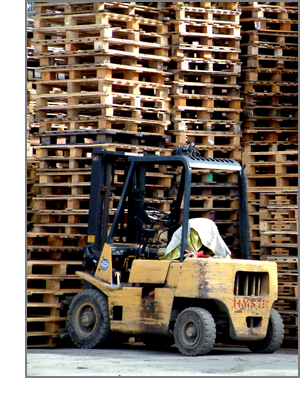 When a small or medium sized company is faced with a forklift accident, incident or near miss, they may not have a designated safety person who can do an investigation or write up the report. Many small or medium sized companies just do not have the resources for a full-time safety person. This lack of resources does not eliminate the obligation companies have in meeting the Occupational Health and Safety Legislation. Therefore, we provide companies with the option of bringing in one of our investigators to perform the investigation. Our investigations are strictly confidential and are not to be used to place blame but to identify all root causes so that remedial actions may be taken. Once the investigation has been completed a written report is prepared, detailing the investigation, identifying the root causes and providing recommendations. The cost and duration of this service is dependent on the number of people involved and the severity of the incident.